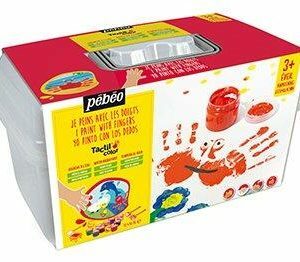 A fun Fingerpaint Box Set. 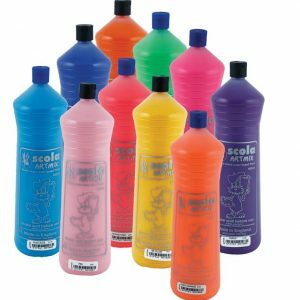 Includes 4 x 80ml tubes (blue, yellow, red and green), 1 smock, 1 washable stencil, 1 leaflet. 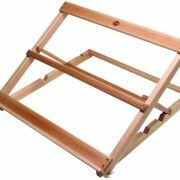 Easy to clean with soap and water. 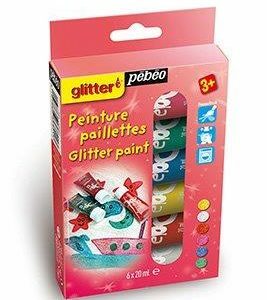 Various sets of Glitter Paint for all ages. 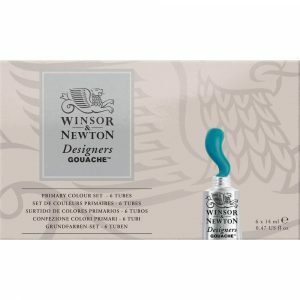 A set of 10 gouache moist cakes. A great little set. 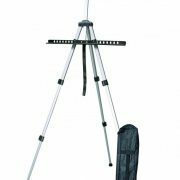 Includes 6 x 20ml tubes, 2 x foam stamps, 1 x stencil, 1 x foam roller, 1 x painting suface and an Ideas Booklet. 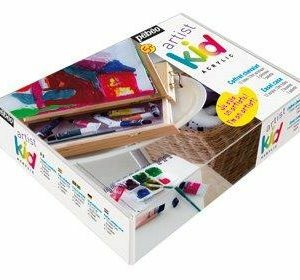 An introductorary wooden easel box set to acrylic painting for children. 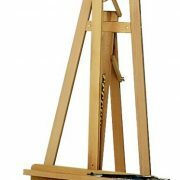 Includes wooden easel case, 12 x 12ml tubes, 2 brushes and a palette. 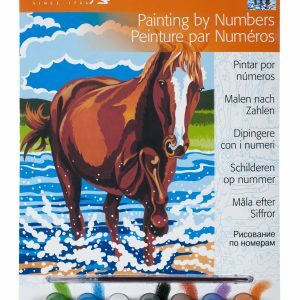 A range of Paint by Numbers sets for all ages. 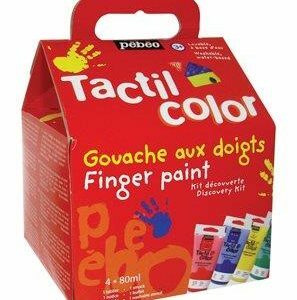 An popular budget 600ml ready mixed poster paint.